Bee Boop! 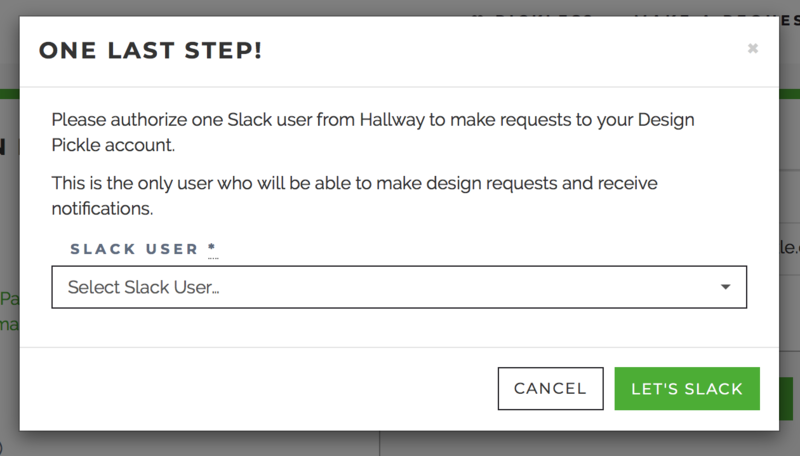 Use our handy Slack bot to submit requests through Slack. 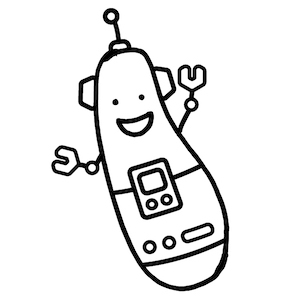 PickleBot is Design Pickle's own Slack Bot. 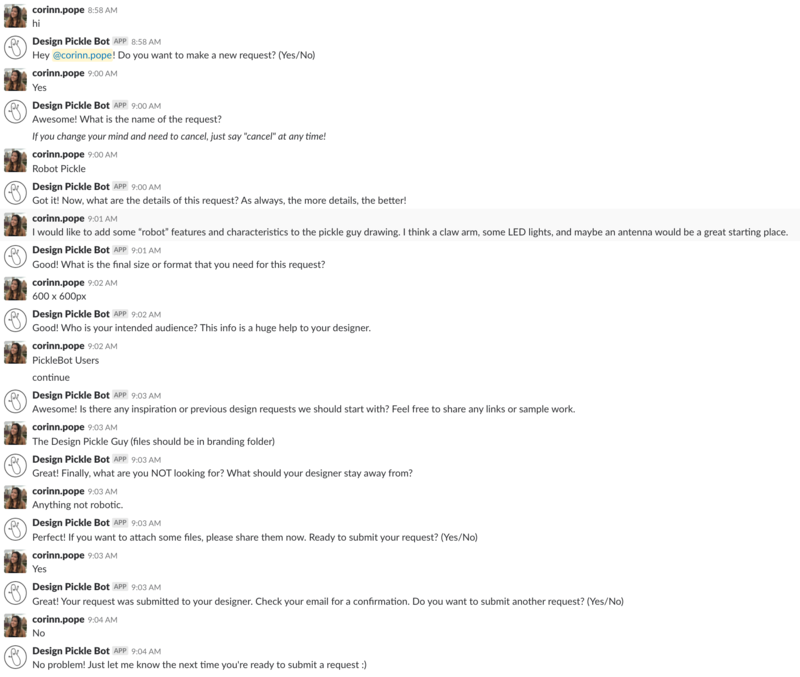 If you find yourself on slack a lot, it's a super convenient way to submit requests. 1.) 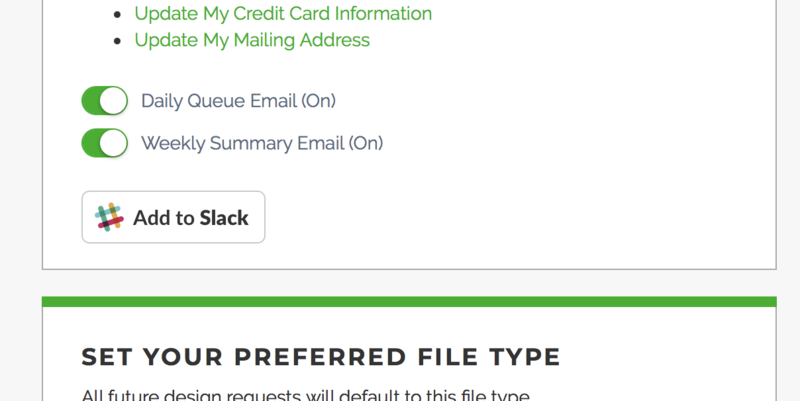 Head to settings and click "Add to Slack"
To add Picklebot to your Slack workspace, head to https://jar.designpickle.com/settings. There, you'll find an "add to slack" button. note: if you do not see this button, contact support at [email protected] and we'll get it added to your account. Click on the "Add to Slack" button and you'll be brought to a page asking you which workspace you would like to add picklebot to and to authorize the bot. 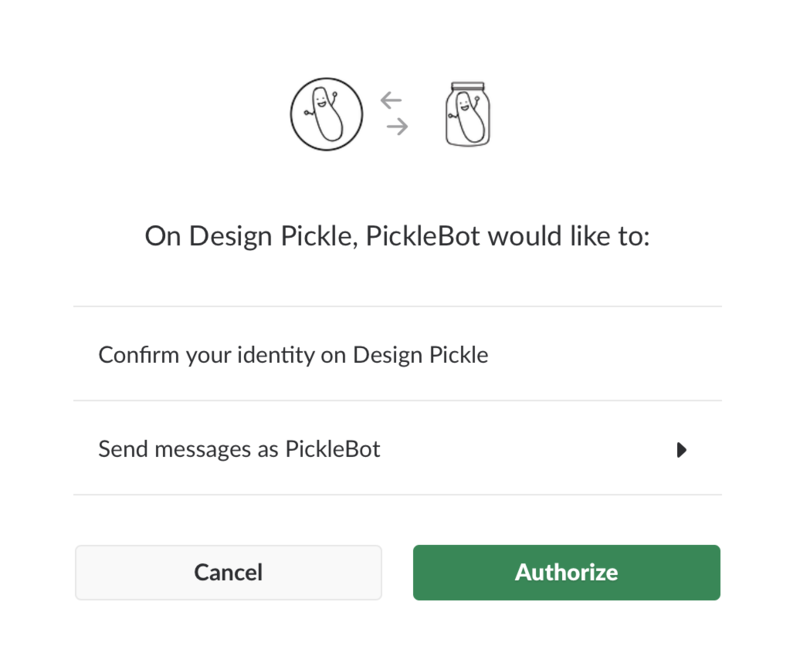 caption: ensure your workplace is selected, then click "Authorize"
Picklebot can only accept requests from one user in a group. Select who will submit via PickleBot the most from the dropdown menu, then hit "Let's Slack". Once you've selected your user, you're all set! Submitting a request with PickleBot is easy. Simply send a direct message to @picklebot from your authorized account (a simple "hi" should start the conversation). PickleBot will walk you through a series of prompts. Answer each of the prompts and submit your request. That's about it! Let us know if you have any questions.